This year’s FOMO (Frontiers of Matter Wave Optics) conference was successfully organized for the third time in Crete and the fifth time overall. It takes place every two years, alternating between Crete and another European city. At the conference participated 120 reputable scientists from around the world (Australia, China, Korea, Mexico, USA, Europe), who had the opportunity to talk about their work, listen and get to know other colleagues, and also to see and to experience the island of Crete. 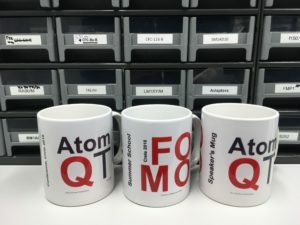 Three days of conference were also devoted to the AtomQT action with working groups meeting and management committee meeting.